Cymbeline is a story of love lost and found, a wicked queen, schemes of disguise, and displays of bravery. 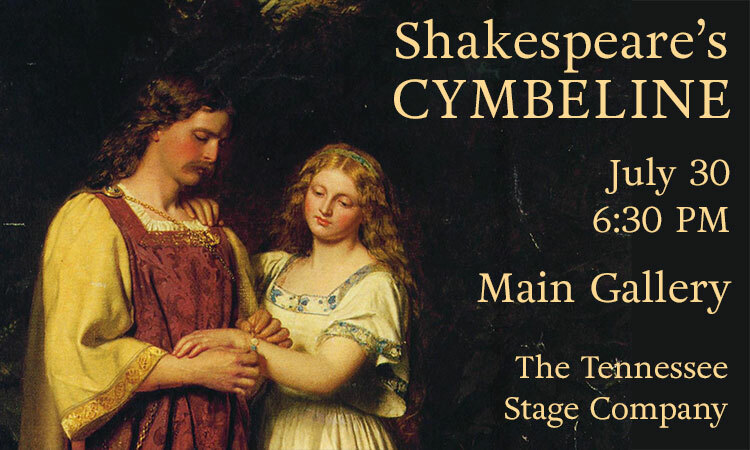 Experience one of Shakespeare’s lesser-known plays, presented by the Tennessee Stage Company. This tale of adventure and romance is suitable for all ages. Plan to attend the performance on Monday, July 30, 2018 at 6:30 p.m. in the Library’s Main Gallery.